Today was Max's first field trip for 5th grade. 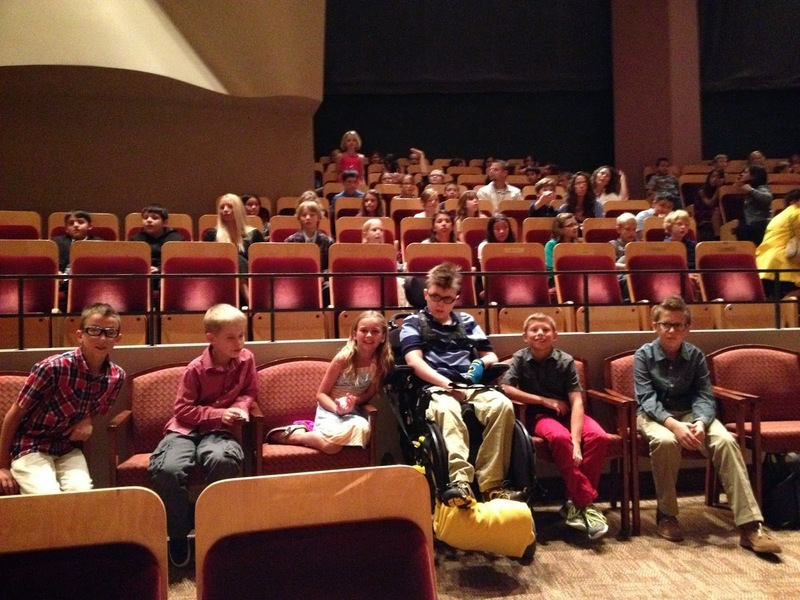 He and his entire grade went to the Colorado Symphony! It's no secret, Max's love of music. A few weeks ago, his school music teacher asked if Max would be able to join them in this field trip. I asked his doctor if we were clear to get out in the germs for an hour with him, and she said if we took his mask and kept his hands to himself, he should be fine. 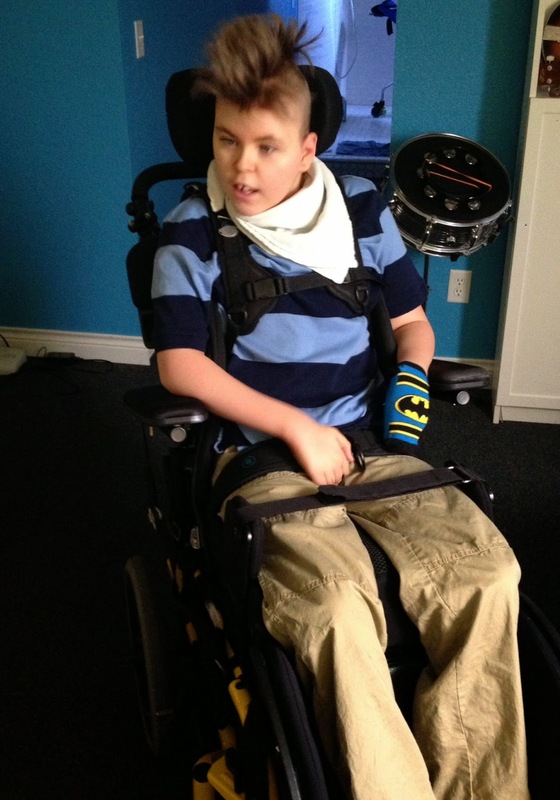 This morning, we got a very excited and happy Max ready in his finery and headed downtown to listen to the music. All ready, except for shoes and glasses! We drove around the block a few times once we got downtown, trying to find a parking space for Max's van. We finally found one pretty near to the concert hall, and ended up following his class in directly after they got there. Good timing! sit with all his 5th grade friends, they all were great to say hello to him when he walked in. His teacher and principal came over to say hello too. Max with his friends from the neighborhood. The lights started to dim, and Steve and I stayed on either side of the group, while Max sat in the middle of his friends. I was unsure as to how he would take to the symphony, since he much prefers opera to just classical music at home. But, he really loved it. We told him before we went in that this was a quiet concert, and he would have to talk and sing quietly. He sang along a little bit. And if he started to feel upset the music had stopped, his friends were quick to reassure him there was more coming, and they were still sitting by him. 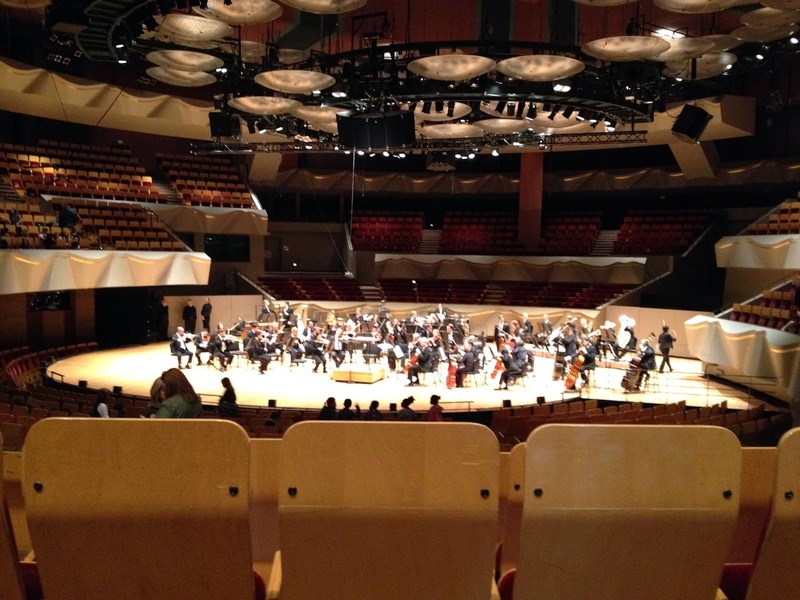 The Colorado Symphony warming up. Watch how his friends direct their eyes to Max to see how he reacted to the symbols. Max really enjoyed the drums, but recognized all the music they played today. When the show was over, we hurried out ahead of the herd of 5th graders, and other schools. When we got home, Max had speech therapy and told B it was awesome, and yes, yes, he liked it! Directly after speech, he had physical therapy. Once that was finished, he fell asleep, and is now snoring in his chair. I'm so glad that he got to participate and sit with his friends! I get a kick out of his love for music -- and he sure looks like a handsome guy in his "finery!"